Hills (the Himalayas) and Mills (the Dutch windmill) builds on pure: honest, tasty and healthy. The Himalaya: our purest source of inspiration. On the other side of the world, there is a huge mountain range: the Himalayas. A lot of people consider this mountain range as the greatest source of inspiration, life and happiness. We do that too. The Himalayas represent pure and nature. Humanity has minimal impact there and flora and fauna live in harmony. You can find serenity, simplicity and pure relaxation there. In all of life of the Himalayas there is huge diversity. Yet everything is connected, in a natural balance. The Himalayas are a great source for a lot of people, for example the rivers that provide hundreds of millions of people with drinking water. Globally, the Himalayas symbolize the power of Mother Earth. There are six countries that adjoin the Himalayas: Pakistan, India, Nepal, China, Tibet and Bhutan. The cuisines and cultures of all six countries affect our offer. For instance, the tea (or ‘chai’) culture is very relevant. And a lot of yogurt and lentils are eaten. The refreshing mango lassi and authentic naan bread are other examples. The Himalaya crosses 6 countries. After 37 years in hospitality, ‘Papa Kazmi’ - as guests like to call him - now has his own place. He is the chef as well as the host. Sons Sheraz and Nawaz, Kazmi & Kazmi are the founders. Daughter Batul and daughter in law Sherryl are part of our team from the very first day. We have a direct link to 1 of the Himalayan countries: Pakistan. The founders have our roots in the Netherlands as well as in Pakistan, because of a mother from Veendam and a father from Karachi. That’s why we are used to the fascinating fusion cuisine of East and West. 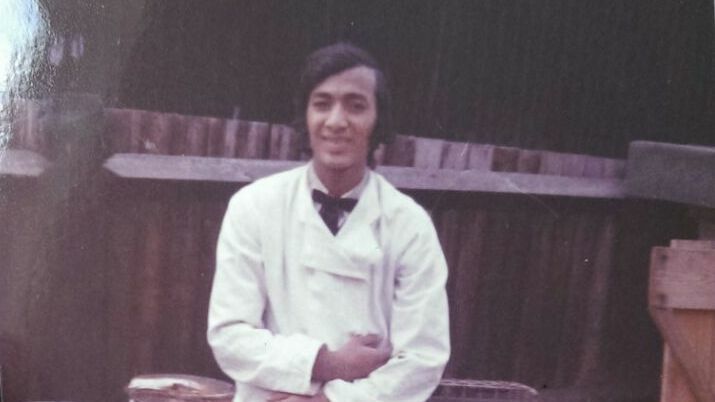 Chef & host ' 'Papa Kazmi' at his first job in London (KFC). Ater a delightful youth in Pakistan, he flew to Europe at the age of 16. The beginning of 1 big adventure, which is still exciting, 40 years later. Hills & Mills is the first concept of The Pure Family. 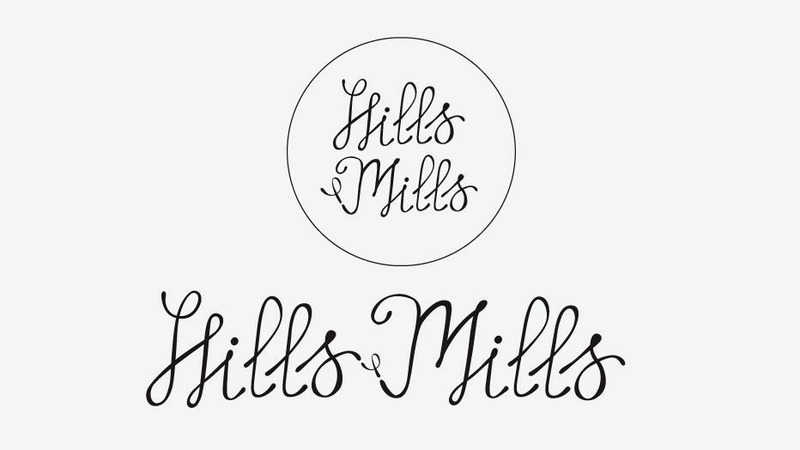 Hills & Mills is the first concept of The Pure Family; a group of pure concepts, each with the same philosophy, but each with a unique character. Also have a look at Papa Kazmi and Haka. Why the name Hills & Mills? ‘Hills’ represents the Himalayas and its height differences. ‘Mills’ represents the ‘Dutch’ windmill. During our ‘expedition’ we literally came across hundreds of ideas for names before we came up with Hills & Mills. This name simply fits us: far away and nearby, exotic and local… in short: our story. Behind the scenes at the development process of the logo. Don't miss your table. Make a reservation in 2 minutes. → Do you want to know what we serve? Take a look at the menu.